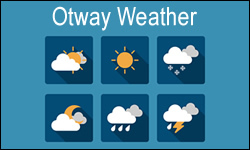 Please consider a donation to the Otway Trail maintenance volunteers for the upkeep of their equipment, such as chainsaws and building materials. Also, high five anyone you meet or know who maintains these trails for all of us to use.. In consideration of your accepting this entry, I, the undersigned, intending to be legally bound, hereby, for myself, my family, my heirs, executors and administrators, forever waive release and discharge any and all rights and claims for damages and causes of suit of action, that I have or may at any time have against the Beat The Bugs Trail Race event organizer, officials, volunteers and all sponsors of the Beat The Bugs Trail Race including but not limited to Martha Shoemaker, Caledonia Nordic Ski Club, all First Aid attendants, City of Prince George, Prince George Road Runners, Stride & Glide Sports, for any or all injuries or losses suffered by me as a result of my participation in this event. I attest that I am physically fit, am aware of the dangers and precautions that must be taken when trail running and competing in this 5km run or 10km run with the possibility of hazards including but not limited to rough ground, poor footing, mud, rocks, wildlife and domestic animal encounters, getting lost, weather changes, and limited race aid support as well as possible delays in receiving medical attention in the event of injury, and have sufficiently trained for completion of this event.